Marshals’ training days are an important component of motorsport – ensuring events run smoothly and safely for all concerned; as well as providing quality opportunities for individuals to develop their own skills and knowledge in all disciplines and activities, as well as obtaining the relevant signatures to support upgrade applications. Training can be delivered informally using ‘hands on / on the job’ approach, with individuals learning from a mix of instruction, doing, advice, mentoring and coaching from experienced fellow marshals, whilst on duty at an event. In addition to this, structured and specific Training Days are held nationwide by a variety of clubs/organisations and qualified Motorsport Trainers – and the BMMC is a leader in this area. 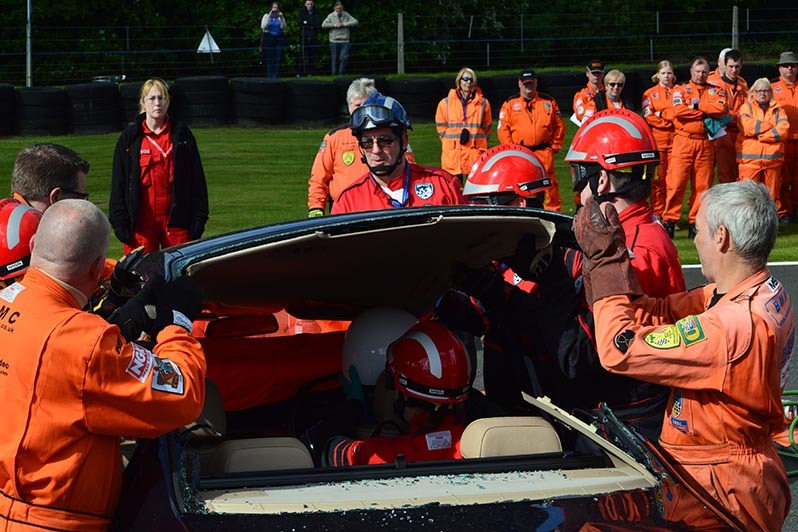 Each of our Regions has a dedicated Training Officer whose responsibility is to coordinate and arrange required/appropriate training events for the regions marshals, working alongside their training teams and recognised licences Motorsport UK Instructors. Please see your regional section for details and contacts. Formalised training events often follow the new modular approach tailored to the individual’s needs, which can include Basic Marshalling, Incident Theory, Incident Handling/Practical, Fire Theory and Fire Practical, First Marshal on Scene (also incorporating basic First Aid), Communications, Flagging, Report Writing, Assessment, Leadership, Mentoring, Specialist, Speed, Karting, Rallying. These events often occur in the quieter season between November and March – but please keep an eye out on the website and other media for the promotion of any upcoming events. With changing regulations and the sharing of good practice – it is recommended that marshals attend training events regularly. Remember – Motorsport UK-registered volunteer marshals are required to attend regular training days in order to acquire and maintain their marshalling grades too (please see the Grading Section for duty specific requirements). Their high level of training means that Motorsport UK-registered marshals are held in high regard across the globe. Over 500 British marshals regularly attend a wide range of overseas events each year – at the invitation of the organisers – to share their expertise… make sure you are one of them! PDF – Now I’ve joined what do I do Next?